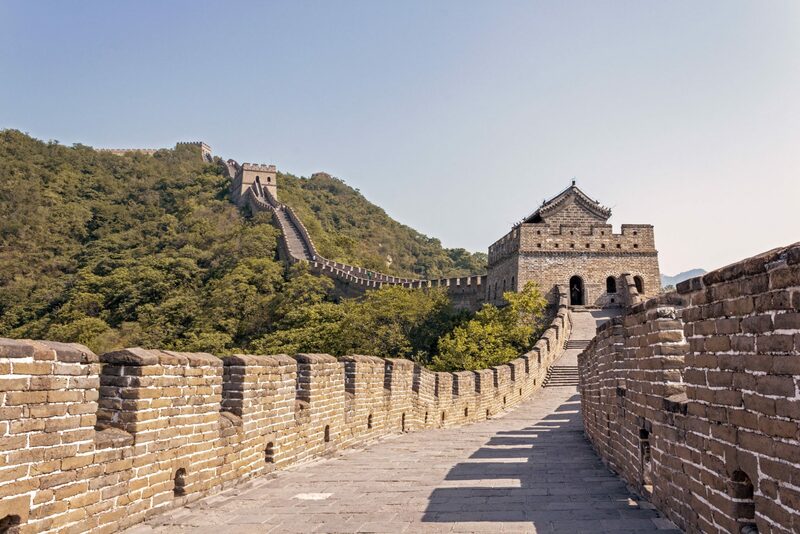 Spanning across China for 21.196,18 kilometers – half the length of the Equator – the Great Wall stands as the largest engineering achievement in history. This ‘Wonder of the World’ always seemed to hold a certain aura of mystery and has managed to spark people’s imagination over the centuries. As Chinese astronaut Yang Liwei confirmed in 2004, it is not actually possible to see the Great Wall from the moon. You can, however, kinda see it from the International Space Station, which is still pretty amazing. Let’s all take a moment to appreciate the American astronaut Leroy Chiao for producing this incredible photographic proof. 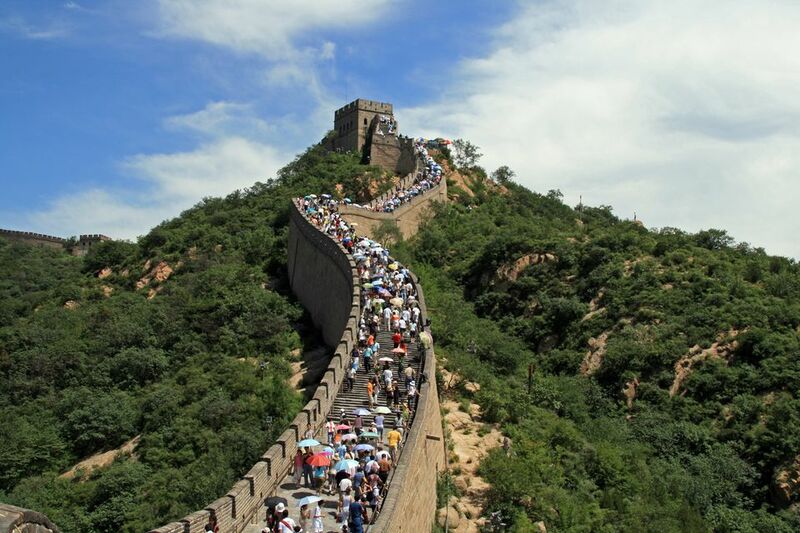 Ladies and gents, the Great Wall of Tourists. This photo is not totally surprising once you consider that China has a national population of 1.3 billion people. In addition, not many know that the Great Wall is not actually a single continuous wall, but rather a series of separate fortifications. Many sections have eroded over time, and most of the survived ones are simply too dangerous or too hard to climb. Consequently, most travelers visit the same handful of sites. 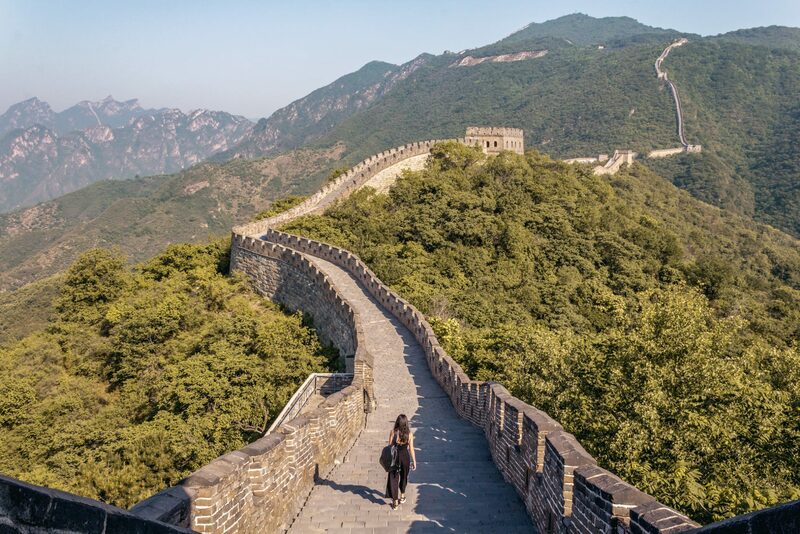 All considered, with over 10 million people visiting the Great Wall of China every year, is it really possible to enjoy a pleasant visit without the crowds? Das me. No one around. Not a single soul. And before screaming PHOTOSHOP in the comments, head to the contact section, shoot me an email, ‘cause I’ll gladly send you all the original RAW shots and videos. We could also chat about cats and stuff. Aren’t Bengal kittens the cutest? The crazy-crowded spot portrayed in the previous picture is Badaling. This is the busiest section of the Great Wall, as around 75% of all visitors go there. There’s a reason, of course, for its popularity: Badaling is the easiest section to reach from Beijing, is very well restored and showcases majestic views. Too bad it’s a nightmare to visit this place on most days! Instead, you should visit Mutianyu. Although this section is still quite close to Beijing, it is a bit more far than Badaling, making it somehow less appealing for day-trippers. 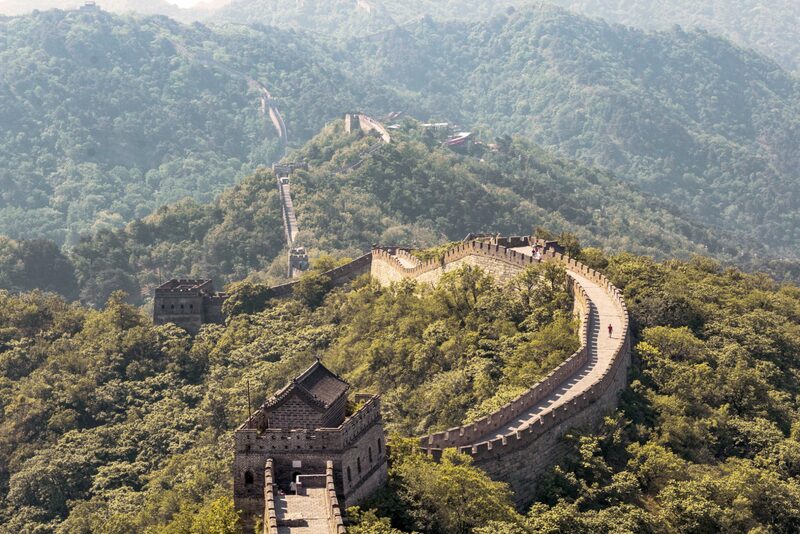 And that’s too bad, because in Mutianyu you can find Ming-era watchtowers and rolling hills that are very similar to the ones present in Badaling – all that with fewer crowds. The entrance fee is 45 CNY / $7 (again, same as Badaling). Note that, although less busy that Badaling, Mutianyu is still considered quite touristic, and if you really wish not to see a single human being on your entire day, I suggest visiting only partially restored sections like Jinshanling and Huanghuacheng. It is, however, very difficult to reach them from Beijing and in both cases the hike will be more challenging. Like most places, getting to Mutianyu early will help you beat the crowds. Besides, there’s no better time to see the Great Wall than during a glowing sunrise. The ticket office opens up at 8am; you should be there at 7.45. A car hire is the most efficient way to reach Mutianyu, but do not approach taxis on the street or you will get exorbitant prices. Instead, book online, or even better, ask your hotel to arrange a private transfer for you. Note that you won’t be able to rent a car yourself, because in order to drive in China you need a temporary Chinese license. An international driver’s license is not sufficient. Anyhow, to be at the entrance of Mutanyu at 7.45, you need to leave Beijing around 6.15/6.30 AM. I know it’s brutal, but it is so worth it. a) Mubus – Mubus buses leave the Donsishitiao station (东四十条) every 10 minutes between 7:30 and 8 am. The whole journey takes around 1.5 hours, so you will arrive in Mutianyu around 9.30 am. The fare is 80RMB (12$), but check the official website for up-to-date info. This is by far the easiest option if you’re planning to use public transport, but you’ll be arriving in Mutianyu together with the crowds. Take the bus line h23 (or h24, h35, h36) to Mutianyu. The bus will cost just a few RMB. In both cases the journey will take another 60 minutes. This option is more challenging and there’s no significant gain in terms of time. Until a few months ago, this was actually the only way to reach Mutianyu using public transport, so it’s still a popular choice. This is, of course, the easiest option in terms of planning, but you’re likely to arrive at your destination when it’s already filled with crowds. Extra tip: if you’re planning on visiting Mutianyu on your own, reserving a ticket beforehand can help to save some time. You can reserve a ticket online on the official website, but note that this page is in Chinese, so you may want to use Google Translate. Officially, the Great Wall at Mutanyu has a total length of 5.4 kilometers and contains 23 watchtowers. In reality, tower 23 only identifies the last section of the wall which can be accessed by tourists, as the section beyond that point is still being repaired. Check this map made by Travel China Guide as a reference. A lot of intrepid travelers start climbing the Great Wall right from the entrance, trying to get as far as they physically can. This is awesome of course, provided that you have enough time to do it (I didn’t) and that you’re in shape enough (I hella wasn’t). Although 5.4 kilometers may seem not much, note that in some parts the steps are really steep and uneven. taking the cable car from the entrance to tower 14. This is the option I recommend the most. From tower 14 you should walk to tower 23 – where the best views are – and then walk back to tower 1. Allow 2 hours to get from tower 14 to tower 23 and then two hours more to come back to the entrance. Anyhow, since most visitors decide to do the exact opposite (that is climbing the wall and then taking the cable car/chairlift to go back down), by taking the cable car on arrival you’ll have the chance to get to the top first, and hopefully explore the best parts of the Great Wall in total peace. The cable car is not included in the entrance ticket. The fare is 100 CNY (15 $) both ways and 80 CNY (12 $) one way. It’s kind of obvious I guess, but weekends should be avoided when possible, and keep also in mind that the busy season in China is from May to August. Anyhow, don’t worry too much if you’re planning your visit during these months, as my visit to Mutianyu was in May, on a Sunday no less, and I was pretty much alone until 9.30 AM. Truth is, visiting the Great Wall is going to be an unforgettable experience no matter what. Ok, that’s it! Follow these tips and you will be able to enjoy an incredible and intimate experience without the crowds. 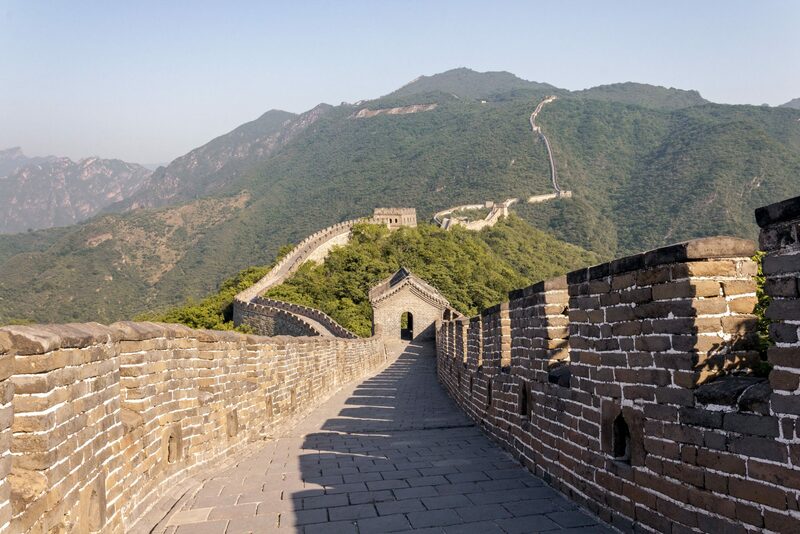 Is the Great Wall of China on your bucket list?